It’s a new week and a new winner… I’m announcing the April Who Takes the Cake? 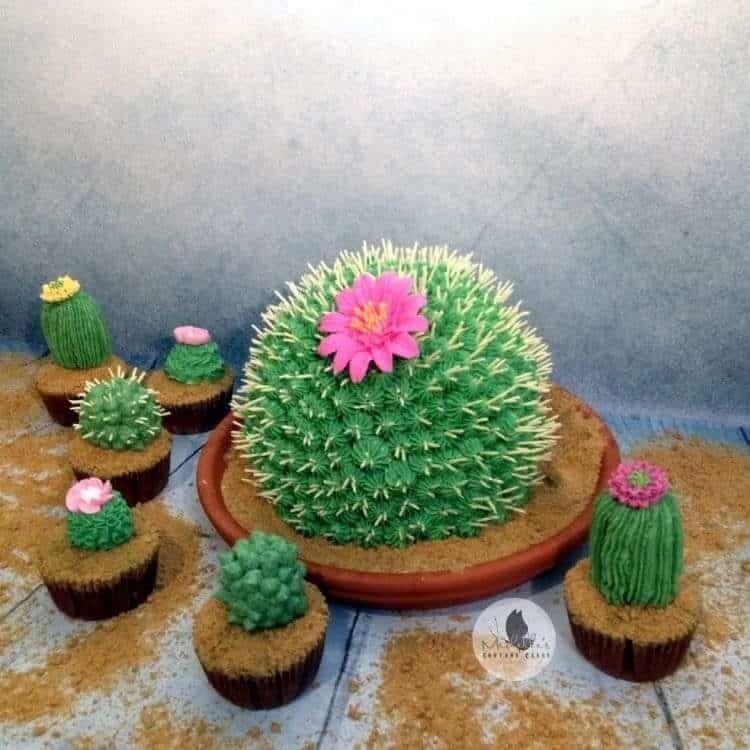 Winner: Michelle’s Couture Cakes! Sometimes I have a favorite and sometimes I don’t but for April’s contest, I have to confess… I was really pulling for this cake to win! It’s just so incredible. 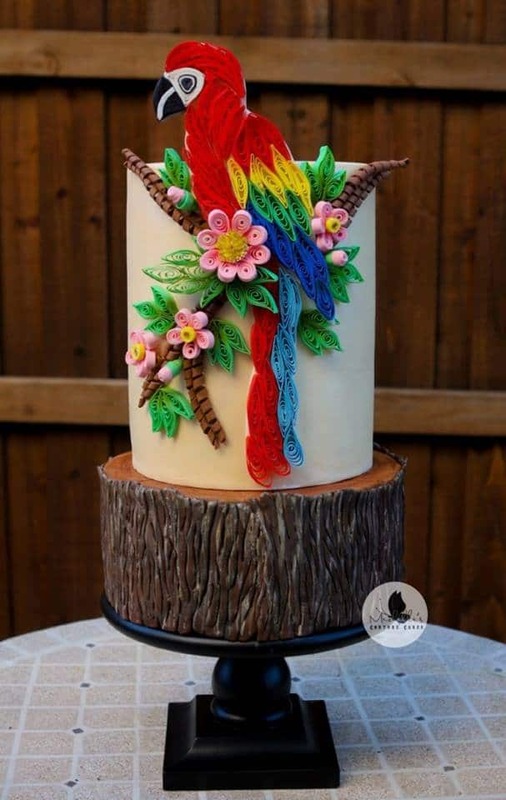 And her winning cake was this amazing Quilled Parrot Cake. A few years ago I dabbled in quilling (on cake) but my efforts were just plain elementary when compared with this stunning creation! I could stare at it all day long! 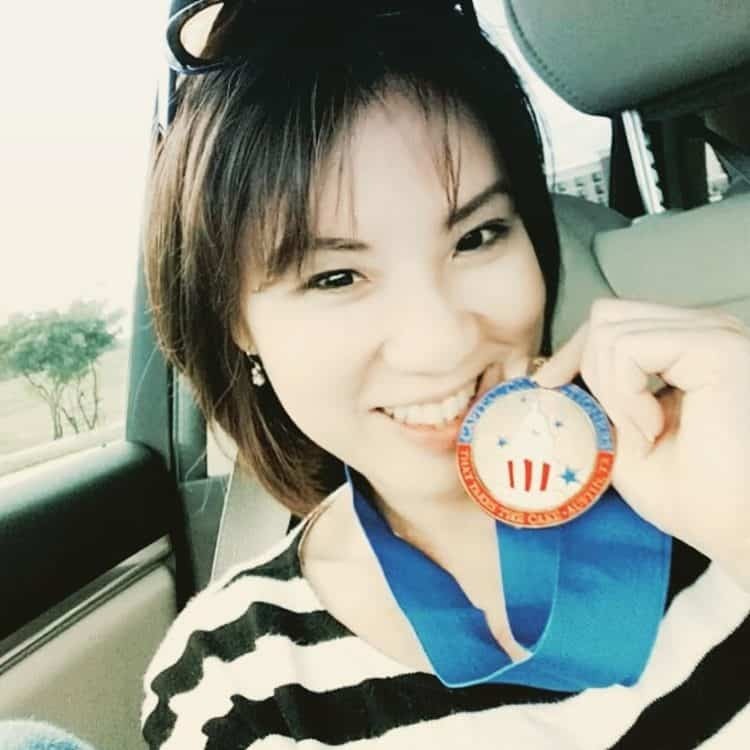 My name is Michelle Sie, I’m a hobby baker, stay-at-home mother of 2 boys. I live in Plano, Texas. I started baking less than 2 years ago. I was the kind of person who didn’t like to step my foot on the kitchen zone, but then everything changed. In 2014 I fell in love with baking & cake decorating and it’s been my passion and therapy ever since. I’m more of a self-taught baker/ cake decorator/ pastry enthusiast. I’ve only attended a couple of classroom courses, including The Wilton School of Cake Decorating in Chicago, IL which I graduated from last year. 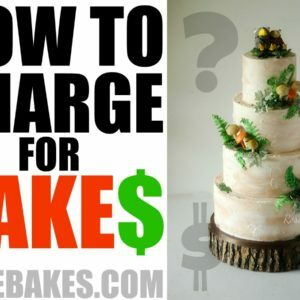 – 3rd place Wedding Cake tiered, First Timer division. 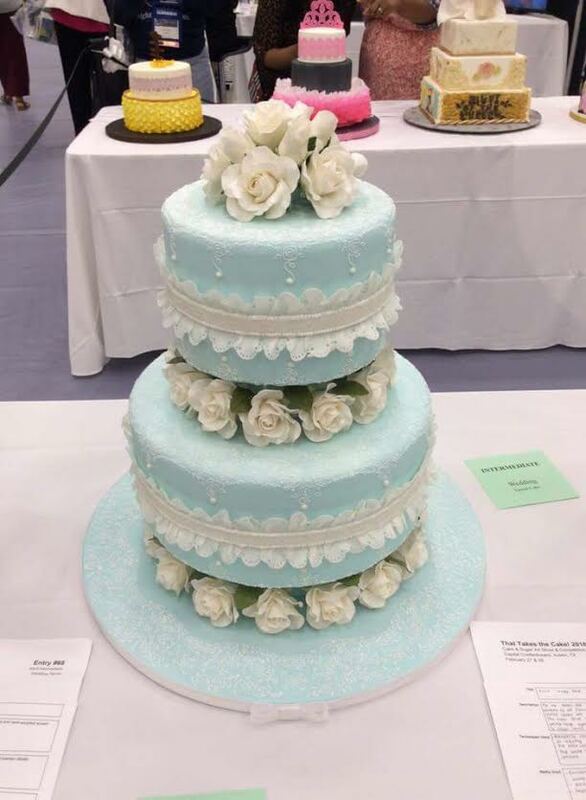 North Texas Cake Show, 2015. This was, in fact, my first cake ever using fondant. Seriously. I share my excitement on cake decorating/ pastry world on my Facebook page here: Michelle’s Couture Cakes and on my Instagram account here. Congratulations again Michelle! This was a well-deserved win!! Happy Caking Everybody! The May Who Takes the Cake Contest will be live soon, so keep your eyes open and enter YOUR cake! If I had to lose to anyone, I’m glad it was you. If I had not had my racing pigeon cake in the competition, I would have voted for your parrot cake. It was outstanding. Congratulations!